Girls pink princess birthday tutu with polka dot ribbon streamers. The Birthday Princess Tutu features light pink, bubblegum pink and white tulle, and is embellished with polka dot and solid color ribbon streamers. 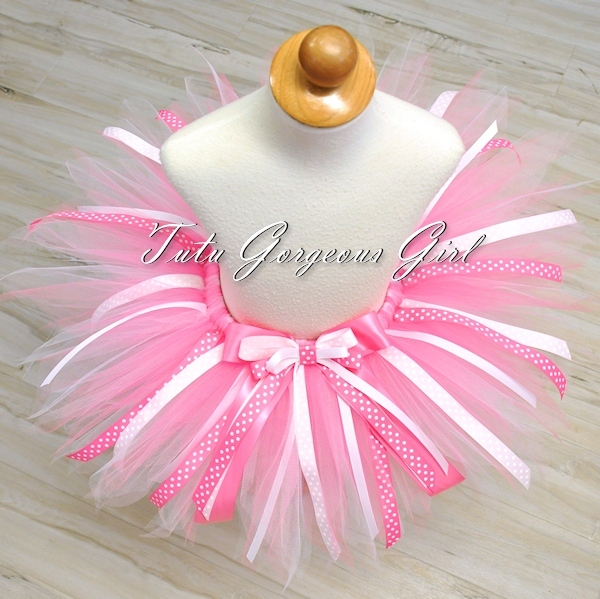 Tutu includes a matching layered bow clip at the waist.